Following last week’s technical difficulties that were the result of a Distributed Denial of Service (DDoS) attack, PokerStars has scheduled a series of freerolls for affected players as a an effort to apologize for the game disruptions. On Twitter, PokerStars said there will be five freerolls beginning tomorrow, August 22nd. Each will present $100,000 in prize value. Players can participate in three of the five. This information differs a bit from what appears right now in the PokerStars tournament lobby, which shows six $100,000 prize pool freerolls. The prize money (technically totaling $100,073) is all in the form of World Championship of Online Poker (WCOOP) tickets, the first prize being a $5,200 seat in the 2018 WCOOP Main Event. If I had to guess (which I most certainly do not, but because I love you, I am willing to go out on a limb), it seems to me that the tournament lobby is in error, as there are two “Players Freerolls” listed for tomorrow, whereas the rest are just one per day after that. One of those is probably a duplicate, especially considering the tweet specifically said the total prize value was $500,000 and there are five freerolls. The DDoS attack occurred on Sunday afternoon (ET). PokerStars addressed the issue via twitter, acknowledging that it was experiencing technical difficulties. Throughout the afternoon, the poker room issued updates and eventually had to cancel a number of tournaments, refunding player funds based on the site’s tournament cancellation policy. Problems continued into Monday and Tuesday, with similar outcomes. We recently experienced a series of DDoS attacks causing site outages & cancelled tournaments. We apologise to affected customers & ask for patience as we issue refunds, resolve technical issues & work with law enforcement. Rest assured accounts are secure & player funds are safe. DDoS attacks are, unfortunately, quite common for large sites (even small ones) on the internet and in recent years, have become more frequent in the world of online poker. In a DDoS attack, the perpetrator uses a remote computer to flood a site’s server(s) with communications requests. 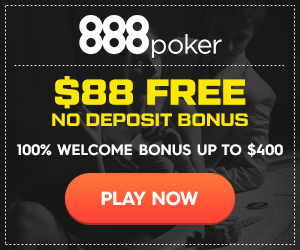 Normally, a poker site has communications going back and forth to players, sending data having to do with the cards that are dealt, chips to be won and lost, chat messages, and the like. The DDoS attack results in a downpour of fake communications that the system just can’t handle. Sites have security setup to filter out bogus communications requests, but some DDoS attacks are so powerful that not everything can be blocked. On top of that, it’s so hard to figure out what’s bogus and what’s legit that sometimes legit communications get quashed. All of this results in player disconnections, table freezes, and login problems. The “distributed” nature of the attack makes it worse, as the requests come from many sources, making it even harder to weed them out. In addition to PokerStars, partypoker was recently victimized in a DDoS attack. The Winning Poker Network has also been a target of attacks on many occasions over the last few years.